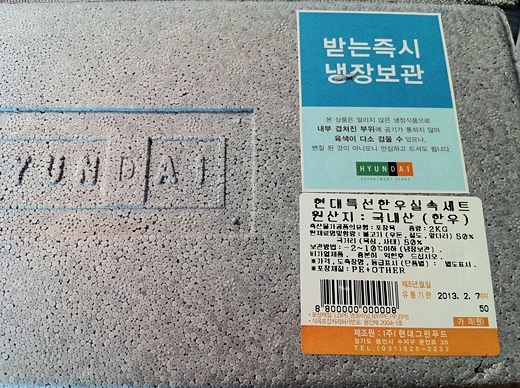 Seoul cafes: Sol-Nal (Korean New Year) gift from hubby's work..
Sol-Nal (Korean New Year) gift from hubby's work.. 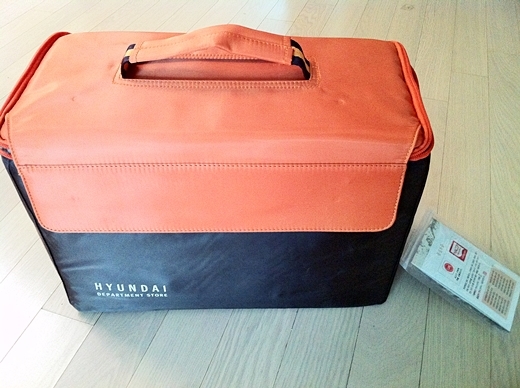 In Sol-nal, most people will get a "gift" from their company and relatives. Employers must(etiquette more like) give gifts to employees as a thank you gesture, and relatives(per household) exchange gifts with each other. This is much more different from Christmas in Korea where gift exchanges are rare except for children and between young couples. It's a surprise 25th is still a holiday despite the scarcity of Christmas spirit - yes, you just got get one day off. You can guess what gifts are the most popular - necessities, like food, shampoo, oil, tuna cans..etc. 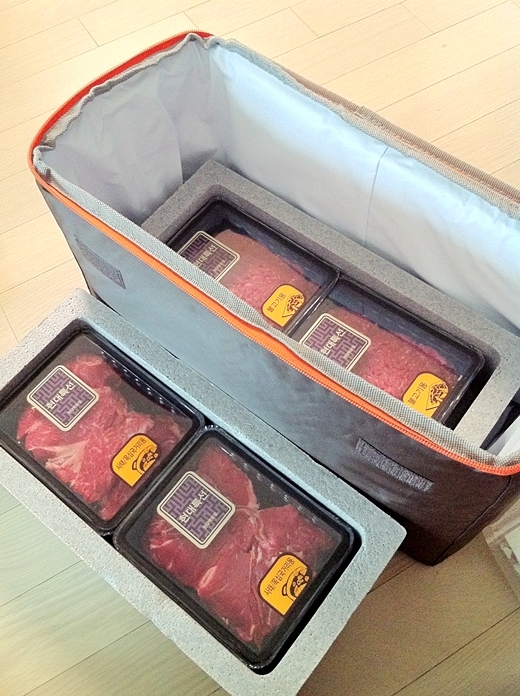 Korean traditional goods are also highly prized like Korean beef called, Hanwoo to specially dried fish called Jo-gi. 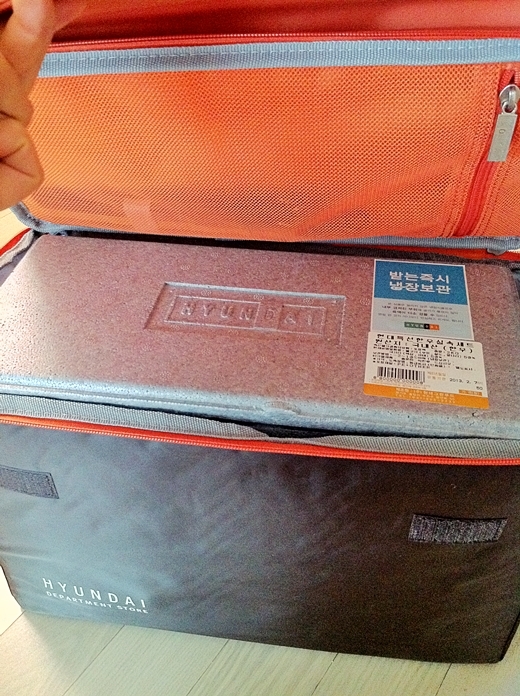 This year, my husband received this gift from his company - a delivery of iced package of different cuts of Hanwoo. As you might know, I love a freebies! 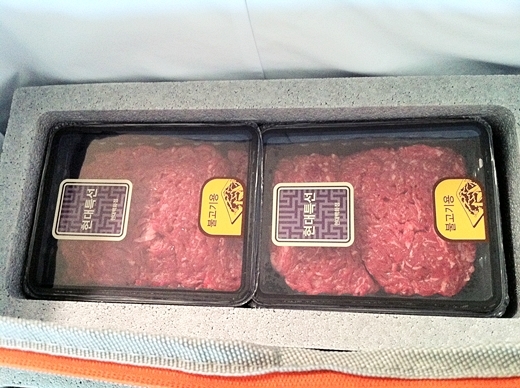 Hanwoo is also "not cheap" - where US and Australian beef is readily available and more affordable.